Islamabad is one of the most expensive cities in Pakistan where majority cannot afford their own residence, so they have to live in rented houses where large part of their income is spent on monthly rental and utility expenses. Hardly a few can manage to afford their own residence due to high property prices, so there is always high demand for such turnkey housing solutions whereby medium income group can utilitze their monthly savings to get their own house. Capital Villas are planned at the beautiful sector B-17 developed by MPCHS which is a master planned housing scheme with all living facilities available to the residents including parks, masjid, schools and commercials. 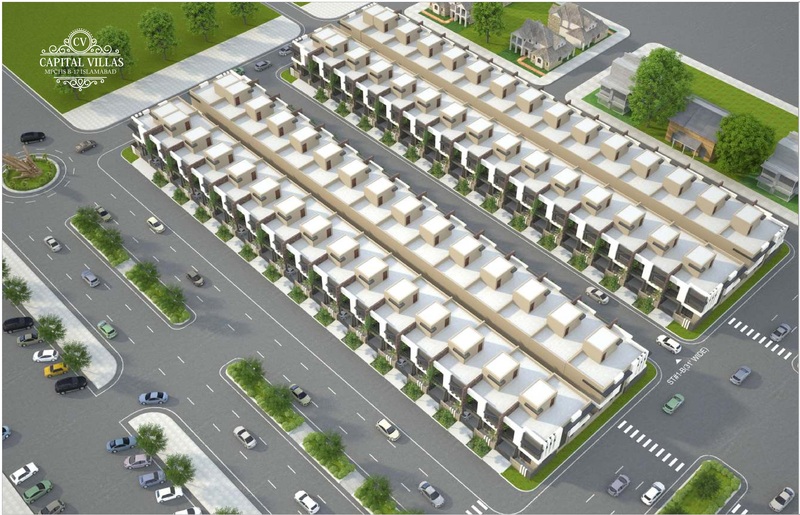 Considering location, prices and payment plan, Capital Villas is a unique project which is customized for medium income group of people who aspire to have their own residence in Islamabad. Note: you can click on the images attached above to enlarge so that you can have view the layout plans properly. Prices and payment plan is the most attractive factor of Capital Villas. Since the project offers 2.5 years installment plan, majority medium income group of home buyers may be able to afford these villas. Bookings start from 20% down payment and remaining amount is payable in 10 equal quarterly installments. 2 lac rupees are payable at the time of possession. Since there are limited villas in this project, so hurry up if you are looking to book one for your future residence. It is very simple to book your very own Capital Villa, as it just needs you to fill out the booking form, attached your cnic copy and submit along with payorder/crossed check of down payment in favor of the builder. If you are living abroad, you can simply download this booking form, take a print, fill out form, and send a scan copy of form along with cnic copy in order to confirm your booking. Payment can be sent online or crossed check can be sent via courier. As soon as your payment is cleared, your file will be prepared and sent to your given address.